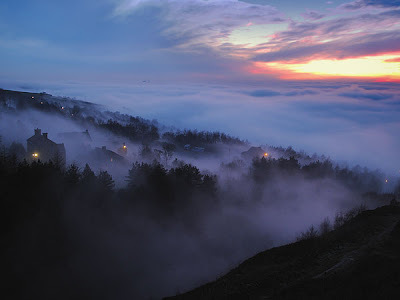 I ask first as always, forgiveness for being away from this blog for so long. And I am afraid that after this entry -- it may be a long time again, before I have time to sit down and share my crazy world with you. But for the very best of reasons: I am going back to work. 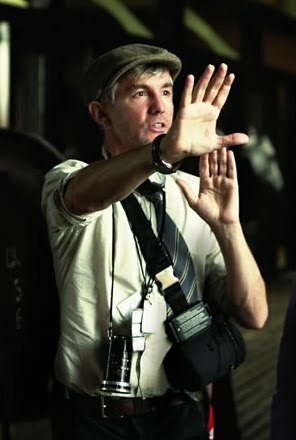 The recession hit Hollywood hard -- and it has been the better part of three years since I have had an actual movie gig. Five years since I have had a gig where once again I get to set in my director's chair. To say heading back to that chair is a good feeling would be quite the understatement. 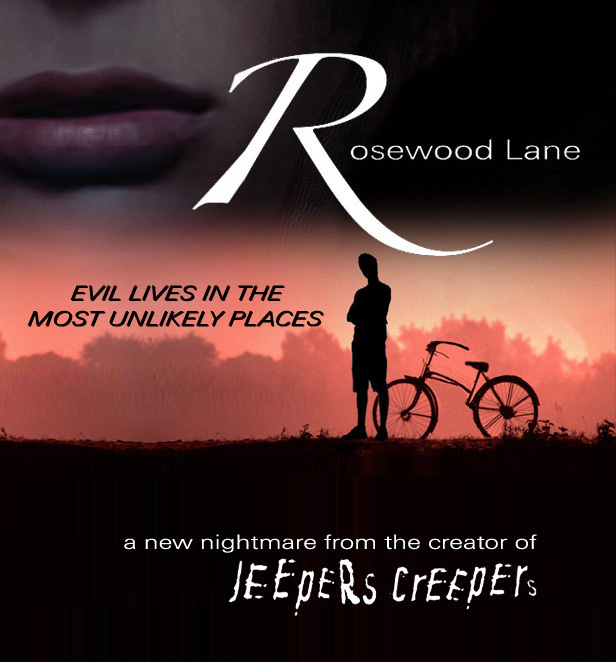 As some of you may have read on the Internet -- yes somethings there are actually true -- I signed a deal to write and direct ROSEWOOD LANE. That is so great and on so many levels. One, it is the first time I have visited the realm of classic horror and suspense since 2003 when JEEPERS CREEPERS II rolled cameras on the Creeper's second big screen adventure. Two, ROSEWOOD LANE is one of my scripts I always regretted not being able to put up on the screen. There are lots of scripts in the life of a screenwriter that simply will never see the flicker of a movie screen or a packed house of moviegoers as the lights start to go down. For every script that made it to the screen, seven to date: CLOWNHOUSE, NATURE OF THE BEAST, POWDER, RITES OF PASSAGE, JEEPERS CREEPERS, JEEPERS CREEPERS II and PEACEFUL WARRIOR -- for everyone one of those there are three others, that just never got their big break. ROSEWOOD LANE was one of those scripts. One of those ideas, that when the writing was done -- felt so unique and so creepy and such a frightening rollercoaster ride for me (and for an audience) that I really felt bad when after a few interested financing scenarios either fell through or failed to fully materialize -- ROSEWOOD LANE was put on the back burner. And then eventually taken off the stove all together and put up on a dusty old shelf. The script for ROSEWOOD LANE, or course has a story itself, and it is the story of me first coming to Los Angeles, more than fifteen years ago. With nothing but the clothes on my back, my best buddy in the world, and a U-HAUL trailer filled with everything I owned -- I towed an old, rust red Datsun that had duct- tape and plastic for a back window -- down Interstate 5 from the San Francisco Bay Area -- up the grape vine, through the San Fernando Valley and into our new adventure in Los Angeles. I won't kid you -- I was terrified of Los Angeles. Just before I made the big trek, the streets were in flames and filled with fires, riots and chaos. We heard it all on the radio and TV up in the east bay. The Rodney King verdict had turned Los Angeles into what up in Northern California --sounded like some kind of apocalyptic fireball. Where brother turned on brother and no one was safe. I had never lived in a big city before. I had taken a few reckless solo treks to San Francisco when I was a teen, with an ancient car with four bald tires -- but in general I was a small town boy and the big city scared me. I had grown up in Martinez California. A tiny little place with a tiny little bay. It was my little kingdom. Though to me of course, it seemed vast. One of the greatest baseball players in the world came from Martinez -- Joe DiMaggio. A man who had even married Marilyn Monroe -- however briefly. He was our tiny town's big claim to fame. As a little dreamer in a tiny town -- a kid who fell in love with the movies before he fell in love with anything else -- the big city was only something you saw movies about, and nothing but violent, scary places with lots of crime and strange people. That's right. They were full of strange people. Yes, I was quite the little Republican back then. Remember, you're talking to someone who was raised in a family where the kids weren't allowed to have Beatles albums in the house, because boys with long hair were fags. HOW CHUCKY SCARED ME INTO COMING TO L.A. When Francis Coppola chooses you -- a young and complete unknown who had made a backyard video for 200 dollars -- to write and direct a feature film for his new production company? And then when it's finished, likes it enough to get it into Sundance, making it the first horror film ever to play there? When all that happens? ... your life changes a little. 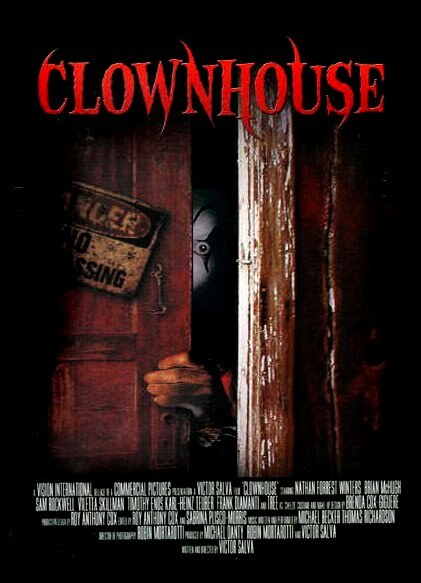 When CLOWNHOUSE was taken and shown around Los Angeles to select buyers and studios, one agency in particular came knocking. The Gersh Agency, one of the oldest and respected agencies on both coasts (they used to rep Humphrey Bogart someone told me) signed me as a client. They had shepherded the careers of horror luminaries like George Romero and John Carpenter, and they told me on the phone (in a conversation better left described at another time -- or maybe in a film) they saw me as someone to shape as the next big horror filmmaker. I was just learning to be a happy young man, emerging from a very confusing traumatic and troubled time in my young life. I was back home in the Bay Area, with a feature film under my belt because one of the greatest filmmakers in the history of cinema, hand picked me to make a feature film for him. And thanks to that feature film I now had a real honest-to-God Hollywood agency representing me down in Tinsel Town. And then it happened: I got a phone call from them, saying that Universal wanted to fly me down to Los Angeles, based on the strength of seeing CLOWNHOUSE, for a meeting to possibly become the director of a very popular horror franchise that was ready for it's third installment. After I got over my initial fear and generally just being flabbergasted that I was even on the lot of the studio that had made JAWS and Hitchcock's THE BIRDS -- after I got over the sense that I wasn't in some filmmakers dream fantasy -- I found myself flooded with ideas for Chucky III, spitballing them with the producers and seeing the smiles on their faces. If that wasn't enough -- walking into Hanna-Barbera, and children of the 60's and 70s will understand this -- walking into the place that had filled my childhood and teens with THE FLINSTONES, and THE HERCULOIDS and SPACE GHOST and of course the amazing and never equalled JONNY QUEST, that probably inspired me to become a filmmaker in the first place. To walk into that place -- and be introduced to Joe Barbera. 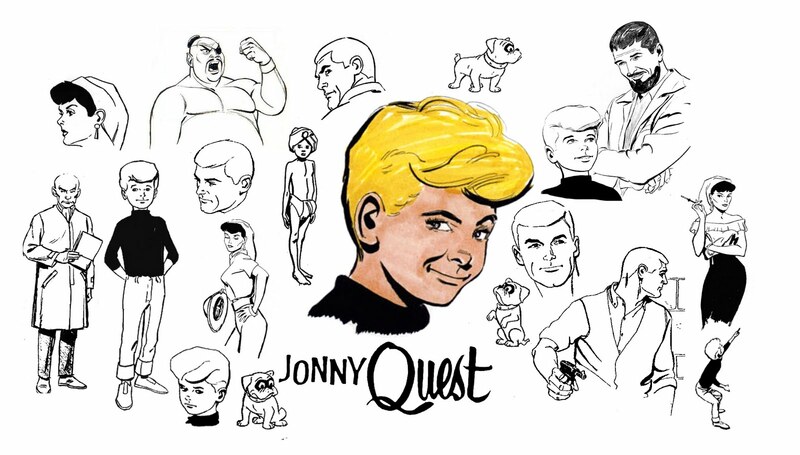 I still get tears in my eyes thinking about shaking hands with Joe Barbera -- in his office full of Hanna-Barbera stuffed characters, and talking to him about how much I loved Jonny Quest. I think I probably had more heart palpitations that day than I had ever felt in my life. When I didn't get the film, when Chucky III went to another, more veteran director, with none of the scenarios I had suggested, when the job went to someone they felt better suited to the material (more about that in another blog) I came home with the idea that my Hollywood dream was dead. Ironically, before my plane even touched down back in San Francisco -- before I even had the news that I wasn't going to be directing the film -- it was all over the news that Universal Studios had caught fire. And that the King Kong attraction and some other buildings had gone up in flames shortly after I left. Then came the call from my agency: "They loved you, but that's how it goes. And if you're up there and have to be flown down for any meeting -- its not going to work for us." The Dhali Lama had that right. 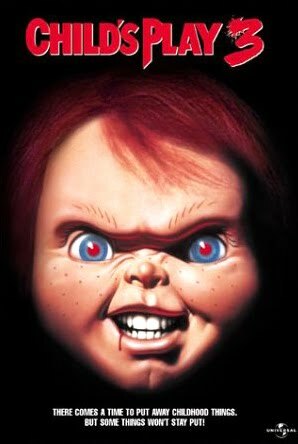 Not getting Chucky was what forced a frightened and heartbroken small town boy -- who had just been through the darkest and most devastating part of his life, to decide to call his agent's bluff and make the big move down to where movies got made. I couldn't afford to be afraid of the big city anymore. I had to do this thing. And boy was I shaking when I got there. U-HAUL trailer and all. It didn't help that within an hour of pulling the U-HAUL trailer into Hollywood and stopping for dinner at a Thai restaurant -- that we saw from our table -- the parking lot fill with cop cars, flashlights and and then cops and guns as they put a man face down on the pavement and at gun point, hand-cuffed him. Within a week, we got an apartment, got jobs (as phone operators at 1-800-DENTIST in a very artist friendly company, that has spawned a great deal of writers, directors and actors over the years. My station was adjoining the station of a tall kid with a great English accent who turned out to be Patrick Stewart's son. Another talented actress who worked there went onto be a regular in the cast of THE OFFICE. 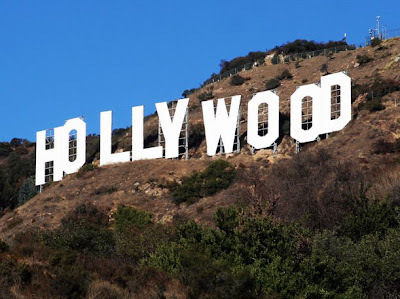 But having moved down to Los Angeles and mustering courage to "take the Hollywood bull by the horns" it felt like I got the other end of the bull when I got a chilly reception when I walked into the offices of my agency to announce I had bravely journeyed to Los Angeles and was ready to work. I honestly think that Gersh (who I am still with today) never thought they'd see me walk through their doors -- calling their bluff and mine -- when I moved to LA and started taking my career as a filmmaker, seriously. I don't know what I was expecting -- but I suddenly realized (are you listening young readers) that I was going to have to make this happen myself, before I was going to get much support from anyone else. And so I started writing. When I wasn't working at 1-800-DENTIST, I was in our little apartment firing away on an old Kaypro computer. I was furiously writing these little million dollar thrillers -- and with CLOWNHOUSE under my arm, as proof that I could direct what I write -- I hoped one of these scripts would hit, and that I would be directing again. There were two scripts I had finished. Two tight little thrillers: one called HATCHET MAN and one called THE NATURE OF THE BEAST. I looked up production companies in industry directories -- wrote down the names of vice presidents in charge of production -- and printed my low budget thrillers, stuffed them into envelopes and hand delivered them (posing as a delivery boy) to any name I could find that had produced tiny but effective thrillers. Did this work? Well, sort of. Home from my day job after just a couple of months, I found a message on my machine from a woman who said call me about your script HATCHET MAN. When I did, I found her name was Claudia Lewis -- and to this day I will never forget her or what she said, "This is my last day here at this company, and I just pulled your script out of a trash can." "And I read it. And I wanted to know if I could I show the script to a young director named Baz Lurhman for him to direct?" Baz's terrific flick STRICTLY BALLROOM had his career taking off. The call was both incredible and heartbreaking at the same time. Someone liked my script -- and they were asking if someone else could direct it. I couldn't refuse. Even though I hated the idea of someone else -- even someone as talented as Baz, taking my baby and making it their own. But then fate took another step -- Baz didn't think it was for him and Claudia apologized and for a moment all was lost. Then she said she could refer me to someone else she knew, a producer, who thought might be a good fit for the script. The man was John Tarnoff. Who had partnered with a man named Dan Grodnik. I left 1-800-DENTIST to direct the film for them. The script had only one major change: the financiers didn't like the title HATCHET MAN. They wanted something more intriguing. My other million dollar thriller was a scary suburban nightmare about a psychotic paperboy. The script I called THE NATURE OF THE BEAST. A title I had always loved. 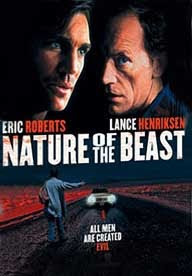 We took the title from my paperboy script and my first Hollywood film, made for New Line Home Video, and starring Lance Henriksen and Eric Roberts was now called THE NATURE OF THE BEAST. It became New Line Home Video's biggest money-maker of the year. And my career was on it's way. Fun Fact: Nature of the Beast was released on video the same day POWDER was released to theaters. And my little paperboy script -- my suburban nightmare that would have made John Carpenter and Alfred Hitchcock both proud -- was left behind on a shelf with several other scripts I had written that year -- in the hopes of impressing my agency and getting me into a director's chair. Fast on the heels of THE NATURE OF THE BEAST, another script I had just finished -- a truly unique idea that had been percolating somewhere in the back of my brain for years -- POWDER, was suddenly funded by the best company at Disney, CARAVAN, originally headed by Roger Birnbaum and Joe Roth, and now just Roger since Joe had stepped up to run Disney. They all agreed there really wasn't a place in my "career arc" that POWDER has set in motion -- to go back and make this dark little story about a radio talk show host and her deadly cat-and-mouse war with the local psychotic paperboy. I was agreeing with them on some level: POWDER was a film I was getting mail about from people all over the world. (I still do) In fact, more than fifteen years after it hit screens, POWDER will make it's Sy-Fy Channel debut this March 20th. Finally recognized as a work of science-fiction and not just drama -- I am absolutely thrilled about it. But I digress, back in 1995, after POWDER, anything dark felt like slumming. It's very easy for an artist to get validated for one work -- and if that validation is important enough (and most of us -- moviemakers or not -- are looking for some kind of validation: to know that we are loved, or valued, or respected ) that validation was so important to me, that I sought out more and more of it. 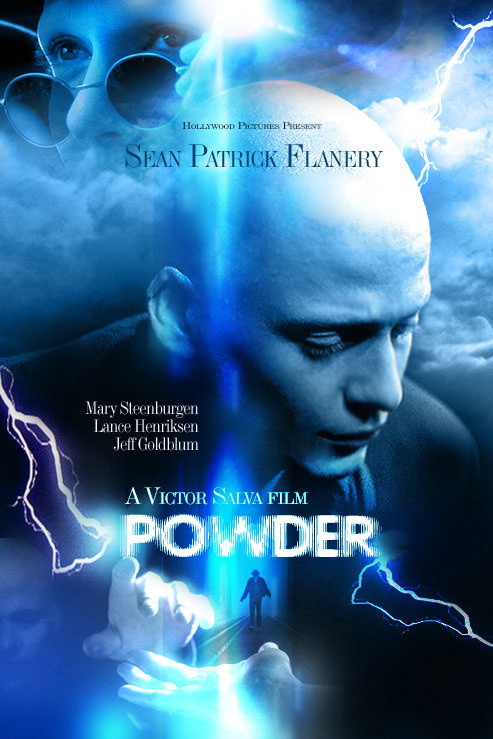 POWDER was a movie of light. And because I was very sensitive to how I was now being perceived within the industry and to filmmgoers, (especially sensitive given my very fragile circumstances) it felt like I could never go back and do anything dark again. Even though I loved horror and suspense and thrillers and had since I was ten or eleven years old. I was "the Powder guy" now -- and I had to keep writing and making films that were about light and not about dark. I really was like a dog chasing a bone -- and now years later, I see that what makes me happiest as a filmmaker, and as a person -- is balance. 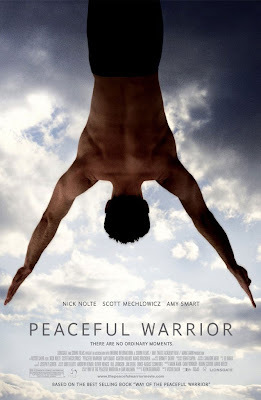 I love making a good, straight-from-my-heart film like POWDER or PEACEFUL WARRIOR. But after a tale of light, it feels good to go and tell a good, scary story that's dark. A campfire story -- like the Jeepers films or THE NATURE OF THE BEAST is meant to be. An Italian interviewer called my horror films "dark fables" and said that in Italy, my darker films are perceived that way. And that is exactly what they are. Call them fables, call them "campfire stories", but it feels good to try and spin a good yarn and see how many goose pimples I can raise. Or jumps, jolts and "I'm so scared I really wish I could hold on tight to the person next to me" moments I can create in a darkened theater. ROSEWOOD LANE is that kind of story. The climate in Hollywood changed with the financial collapse, three years ago. The bottom fell out of the movie industry. Money dried up everywhere. Money that was usually around to finance indie films and indie visions. Now only the bigger studios had money to make movies -- and even they had to go with their hats in their hands and beg, for the first time in along time, to get their movie slates funded. Even Steven Spielberg had to go in search for funds for Dreamworks if you remember. And when that man has to seek out funding -- because it's not banging on his door asking for him? You know times are bad. The industry's financial tailspin has been three years long now -- and the modest budget is the norm. Even the studios have cut their yearly movie output in half or more. And what was once the salary of a major star -- is now the budget of the entire movie. And while it is good to have that kind of financial sanity return to the land of dreams (Orson Welles called film "ribbons of dreams") it also devastated the large portion of us, who were not Steven Spielberg, and whose liviehoods in the movie world, depended on access to independent financing. Armies of good and talented people lost their houses, their jobs and their means to feed their families -- and I was one of those casualties. I lost my home of a decade, and watched others around me suffer even greater losses. We all know there are many casualties from the economic collapse, and Hollywood like many industries was hit and very hard. But nothing is all good or all bad -- ironically, in this downturn, when modest movie budgets are back in vogue, so are the smaller stories that can be told with less money. ROSEWOOD LANE was the perfect script for this. And when I dusted it off as my talented friend and director/cinematographer Don Fauntleroy suggested --the only thing it seemed to really need -- was to be updated. Remember, I wrote this script when I first came to town. And reading it again, it was still a pretty great thriller -- but the script had no cell phones or home computers. That really surprised me. The amazing changes that have happened to our lives in the last fifteen years. But the script was still solid, still strong -- and I was reminded how much I still would love to put it on screen. With the advent of digital filmmaking, we are starting to see more and more remarkable works like WINTER'S BONE done for "next to nothing". Micro-budgets is the term de jour. Nothing new to me really. Most filmmakers start in the realm of micro-budgets. I was paying for my films with the money I made from my paper route as a teen. 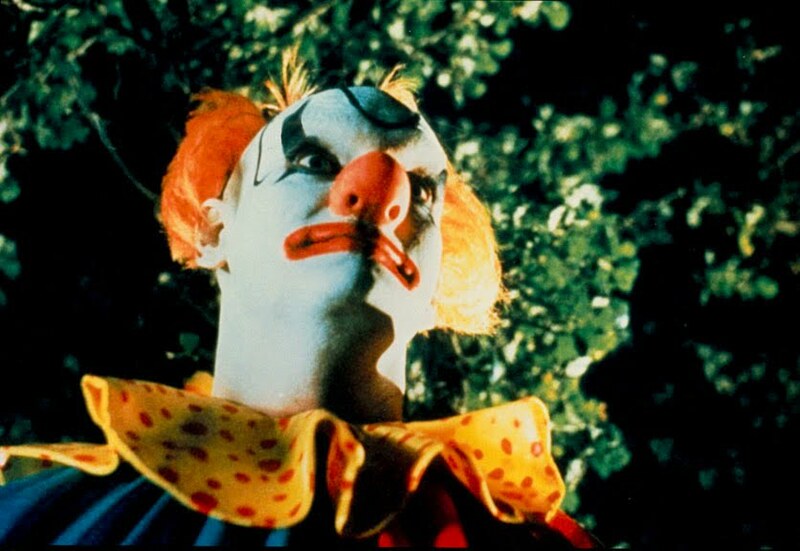 Francis Coppola gave me what could be called a micro-budget out of his own pocket to shoot CLOWNHOUSE. We had just eighteen days to shoot it and around 200,000 dollars. ROSEWOOD LANE by the way has a budget that is considerably larger, and my point is, that the modest film production that is the norm now -- in many ways has opened the door for the next two films I am about to make. 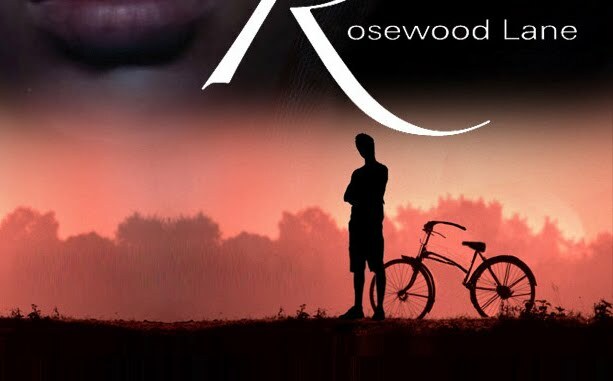 I don't want to repeat what's already been stated in the trades and in the Fango interview I did just this week, but I will give you a brief take on ROSEWOOD the story and the movie that is now starting preproduction. Radio Talk Show Therapist Sonny Blake (Rose McGowan) moves back to her childhood home when her alcoholic father dies. But upon arrival in the old neighborhood, Sonny discovers her neighbors are terrified of the local paperboy. She thinks this is ludicrous -- until she encounters the boy herself and learns the hard way, that he is a cunning, and terrifying sociopath. One who may have killed her father and others. When the boy starts to call Sonny's radio program, an unnerving game of cat-and-mouse begins -- a game where Sonny starts to doubt her own sanity and wonder if this boy is in fact something darker and more powerful, than makes sense in the world we know. When their game escalates, Sonny suddenly finds herself in a terrifying all out war -- one that forces her to redefine her ideas of good and evil, and has her fighting to stay alive. The casting process is ongoing and shooting locales and start dates are still unknown, but my terrific cast already includes RAY WISE, Dexter's LAUREN VELEZ, LIN SHAYE (King Pin, Something About Mary) TOM TARANTINI (Powder, Jeepers I and II) and the lovely and talented LESLEY-ANNE DOWN. My treasured and cherished JEEPERS CREEPERS film family will also be on board: my great editor of over a decade ED MARX, my magnificent cinematographer and now producing partner DON FAUNTLEROY (he and I are producing ROSEWOOD LANE) and the film will enjoy another haunting score by my brilliant and longtime friend, composer BENNETT SALVAY. The search for the paperboy, the trickiest piece of casting, has just started. Rosewood Lane takes place in the ficticious town of Stillwater. 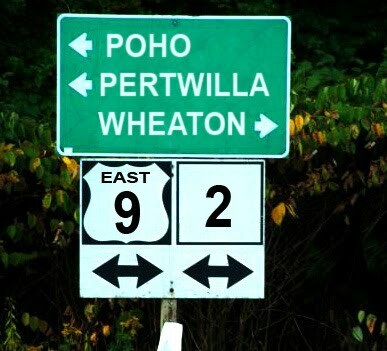 But Stillwater isn't as far away from Poho County as you might think. I have added two new surrounding cities to Poho County in my make believe universe. Stillwater where ROSEWOOD LANE will take place -- a small town across a large bridge and a thriving city - reminescent of my growing up in Northern California, just outside San Francisco. The other place or town I am adding -- is Hanford. A small seaside town in the adjoining Hanford County which butts up against the borders of Poho County. 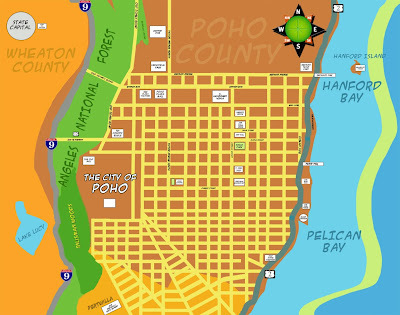 (This is a very detailed map I had to create to get an overview of Poho and surrounding counties. It helped facilitate the writing of several new scripts but was originally conceived as a blueprint for a novel I was writing called TALES FROM THE BLUE FISH). The Blue Fish is a seaside restaurant in Pelican Bay and ... well, just suffice to say that the novel is only a few chapters long at the moment, and has been for a year or so now, and the various plots, the various tales that come from The Blue Fish, mainly about the family who owns and operates it,. The tales are meant to be many and varied. -The first tale titled LITTLE BASTARDS, is a thriller about a boy who goes on a dark and dangerous quest for a box of buried money -- in order to save the life of his older brother who is doing time in prison for murder. When toiling in the world of prose, it often occurs to me how easy it would be to tell this tale as a screenplay instead of a novel. Elsewhere on the map of Poho County: The small seaside town of Hanford -- is about to become the setting of a film very special to me, and I hope of special interest to all my JEEPERS CREEPERS fans. As you know if you've followed this blog -any of the two years it has been running, then you know of the endless struggle to get the third Jeepers film before cameras. The third installment of the tale has been written for four years now. 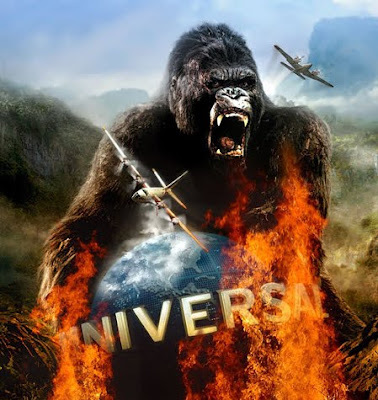 Even now, in 2011, seven years after JEEPERS II, hit theaters, we are still somehow sitting around, watching and waiting for a financial entity that would facilitate creating this third film. A third film that is the second sequel to what internet polls from horror websites -- clearly site as the most requested horror sequels today. The fact that someone can't do the math and find us our budget -- is one of the great Hollywood mysteries I guess. A terrific piece of fan art someone sent me of a poster for JC3. I like the hopeful date of 2009 on it! And though I am almost embarrassed to type this -- to even say this to you, once again: am I told Zoetrope (for the umpteenth time in three years now) that Zoetrope is close to cutting a deal with financiers, that might get Jeepers III rolling in September. Let's just tuck that one away and forget about it for now - less its real this time and we jinx it. I decided to create a new horror franchise. One that I owned and operated and would never be encumbered by too many cooks in the soup, too many bankers in the mix -- and budgets that were too large to raise in this strangled economy. 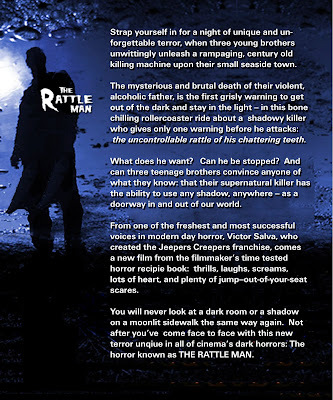 If you have read my interview on Fango, then the cat is already out of the bag, and you know the film I am talking about is THE RATTLEMAN. A brand spanking new horror tale that takes place in a sleepy seaside town. 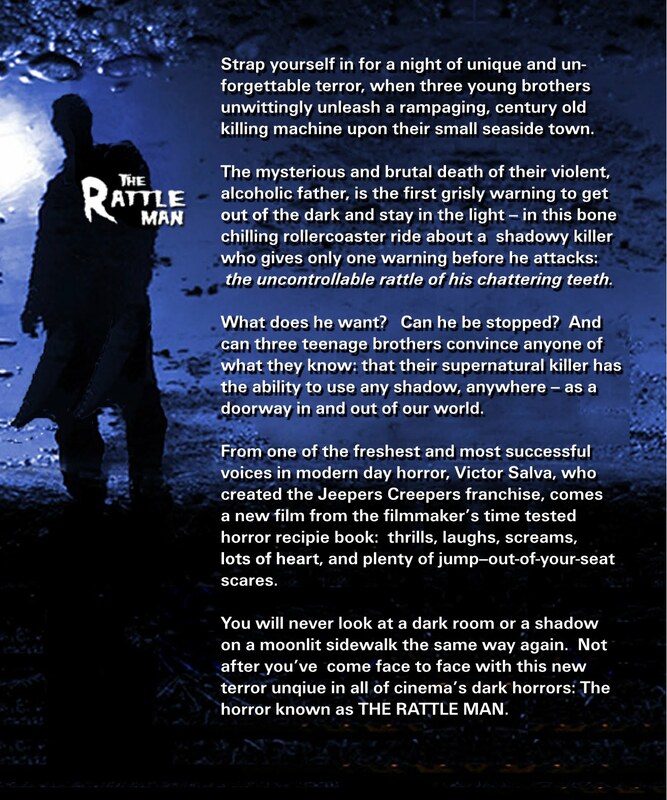 THE RATTLEMAN will begin filming early summer in a state yet to be determined -- and I can tell you this: I have never been more excited about a horror story. Rather than blather about it: I will share at the end of this blog, the early one sheet for it that describes it as much as I would like it described at this point. I need to say to you all, that as I move into shooting ROSEWOOD LANE and then prepping and shooting THE RATTLEMAN -- it may be a while before I can blog again. If it is, I wish all the luck and love in the world, to all of you, in the pursuit of your own dreams and happiness. And I will try and find a way to update those of you who are interested, on the process of both these terrific thrillers: ROSEWOOD LANE and THE RATTLEMAN. And who knows? Maybe there will even be good news about JEEPERS THREEPERS -- when there is more to tell and I can stop and take a breath. My best to all of my blog readers both subscribers and lurkers. What the heck -- even the haters! Hope everyone is happy and well and surviving the best they can in these tough, tough times. I have been writing and directing films since the age of thirteen. My films include POWDER, JEEPERS CREEPERS I and II, RITES OF PASSAGE, THE NATURE OF THE BEAST, PEACEFUL WARRIOR, and ROSEWOOD LANE.